BULPROS is an innovative global IT and BPO services, solutions and product provider, one of the fastest growing technology companies, recognized by the prestigious rankings of Deloitte “Technology Fast 50 in CE” and “Technology Fast 500 in Europe, Middle East, and Africa”, Inc. 5000 Europe, Financial Times 1000 Europe, McKinsey’s 2018 report “The rise of Digital Challengers” etc. Its offerings include Industry Digitalization, Cyber Security, Digital Workspace, Cloud and Support Services, Technology Services and Sales Services, with focus on Manufacturing, Professional Services, Telecommunications, Healthcare, Retail, Financial Services and Insurance. They are designed to empower businesses in their Digital journey with innovative solutions, services and products. BULPROS operates on a global scale and has more than 1200 employees, working across 19 offices, located in Europe and North America. BULPROS has established successful customer and partner relations with Fortune 500 IT companies such as Cisco, Microsoft, IBM, Unisys, VMware, Siemens, T-Systems, SAP, Hortonworks, Oracle, Red Hat etc. 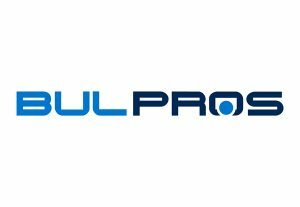 BULPROS is a co-founder of the Bulgarian Outsourcing Association and a member of the American Chamber of Commerce, the German Outsourcing Association and the Indian-Bulgarian Business Chamber.